There has been a lot of talk about the rapture lately. It is a popular subject in the media, in prophecy books, and from the pulpit. What a moment that will be! Jesus will appear in the sky, with the blast of the trumpet, and the living and the dead in Christ will rise to be with Him in the air. Not everybody agrees about when this blessed event will occur, however. Some believe it will occur before the seven-year “tribulation” period, the greatest time of natural disaster, occult activity, and Christian persecution in history. Some believe it will occur midway through the “tribulation” period. Some believe it will occur at the end. Still others say that the timing of the rapture doesn't matter. “What's important,” they argue, “is that people are ready when Christ does come.” This attitude is called “constant vigil." Does constant vigil work? Can we really dismiss the discussion about the rapture as of little importance? If the rapture is pretribulational — before the seven-year “tribulation” period — I would agree. But if the rapture is not pretribulational, the consequences will be serious. The majority of the church population, expecting to be taken before the most devastating period in history, will be completely unprepared. The rise of false christs, including the Antichrist. The Antichrist gains power through world war. Worldwide earthquakes, pestilence, and famine. Death of up to one-quarter of the earth's population. Worldwide persecution and martyring of Jews and Christians. Devastating earthquake. The sun turns black, the moon turns to blood, and the stars fall from the sky. Silence in heaven for half an hour. Hail and fire mingled with blood, one-third of the vegetation burned. A “burning mountain” falls into the sea, one-third of the sea turns to blood, and one-third of the sea creatures die. A star falls from heaven, turning one-third of the earth's fresh water bitter. One-third of the sun, moon, and stars are struck. Locusts rise from the bottomless pit to torment those on the earth. Angels kill one-third of mankind. Angelic pronouncement to begin the bowl judgments. Foul and loathsome sores. The sea turns to blood and all of the sea creatures die. Freshwater rivers and springs turn to blood. Mankind is scorched with fire from the sun. Widespread darkness and pain. Euphrates River dries up, allowing the armies of the Antichrist to gather for the battle of Armageddon. Thunderings, lightnings, and a worldwide earthquake so great that “the islands flee away and the mountains will not be found." Think about these judgments for a minute. Consider the spiritual consequences if the rapture occurs at the beginning of the “tribulation,” in the middle of the “tribulation,” or at the end. Clearly, the idea of “constant vigil” works only if pretribulationism is true. If it is not, and the Church is expecting to be raptured before experiencing any of the end-times judgments, then unexpectedly finds herself facing world famine, war, natural disasters, and martyrdom, many Christians could stumble: disillusioned with their pastors and their churches, even questioning the truthfulness of the Word of God. Jesus emphasized that, even for believers, the end times will be a period of unparalleled trouble, a time that the world has never before seen. “For then there will be great tribulation, such as has not been since the beginning of the world until this time, no, nor ever shall be” (Matt. 24:21). It will be worse than the Crusades, worse than the Spanish Inquisition, worse than the Holocaust and the torturing and killing of believers in the modern day. The devastation will be worldwide, occurring on our doorsteps, not isolated in other parts of the globe. If the pretribulation position is wrong, and the Church will endure a portion of this terrible period, Christians must be ready spiritually, physically, and emotionally. No manner of “constant vigil” will suffice. We need to go through spiritual boot camp. The timing of the rapture matters. God does not hide His essential truths from His children. And this is an essential truth. The truth about the rapture of the Church can clearly be found in a straightforward read of the New Testament. 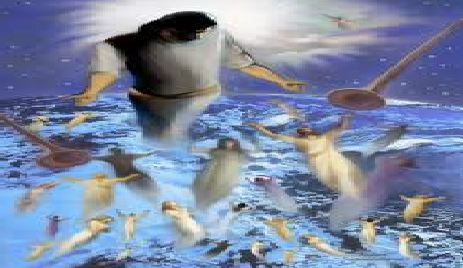 It tells us that Jesus' return, and therefore the rapture, will occur after the opening of the sixth seal — just over halfway through the “tribulation” period, and before the beginning of the trumpet judgments, before God pours out His wrath (compare Dan. 9:24, Dan 11:31, Matt. 24:29-31, and Rev. 6:12-17). God has a plan. He gave us the signs of His coming and we are given careful instruction to watch for them so that we can be prepared. Unfortunately, we haven't heeded His warning. As we sit on the edge of the rise of the Antichrist, the greatest natural and spiritual disaster in history, the Church is an army asleep.